Jan Wildeboer, a Red Hat representative who lives in Europe and used to advocate strongly for blocking software patents in Europe before joining Red Hat, blames Microsoft for what culminated in Siemens’ offensive action [1, 2] shortly after Microsoft had done something similar. “So Microsoft lobbying seems to have been successful in Germany,” wrote Wildeboer. “Congrats on giving us software patents after Vista and other quality products,” he added. Microsoft did lobby for this. –Jan WildeboerThe overwhelming majority of Microsoft's patents are software patents and there are a lot of debates in German right now over this disastrous development in Europe’s largest economy. Florian Müller, a prominent German who deals with this problem, has already published his analysis and there is more about it in LWN (only in the form of a discussion as Müller blocks comments in his blog). He has also published ‘”Fair Trolls” To Fight Patents With Patents’ over at Slashdot where the "The Defensive Patent License" for Free/open source software is discussed (last mentioned a few days ago). 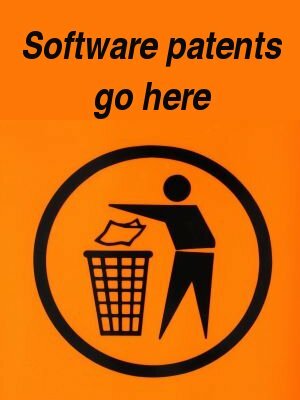 What they are trying to do is create a legal mechanism like copyleft (using copyright law to fight copyrights) to turn software patents against themselves. The OIN more or less fails to achieve this goal although it can be effective sometimes [1, 2, 3, 4, 5, 6].